You can synchronize the list of apps you have purchased (or that are free) from the store with Intune. Apps that are synchronized appear in the Intune administration console; you can assign these apps like any other apps. You can track how many licenses are available, and how many are being used in the Intune administration console. Intune blocks assignment and installation of apps if there are an insufficient number of licenses available. Apps managed by Microsoft Store for Business will automatically revoke licenses when a user leaves the enterprise, or when the administrator removes the user and the user devices. Configure Intune as the mobile device management authority for your organization. You must have signed up for an account on the Microsoft Store for Business. Once you have associated a Microsoft Business Store account with Intune, you cannot change to a different account in the future. Apps purchased from the store cannot be manually added to or deleted from Intune. They can only be synchronized with the Microsoft Store for Business. Both online and offline licensed apps that you have purchased from the Microsoft Store for Business are synced into the Intune portal. You can then deploy these apps to device groups or user groups. Online app installations are managed by the store. Offline apps that are free of charge can also be synced to Intune. These apps are installed by Intune, not by the store. To use this capability, devices must be joined to Active Directory Domain Services, or workplace-joined. Enrolled devices must be using the 1511 release of Windows 10 or later. 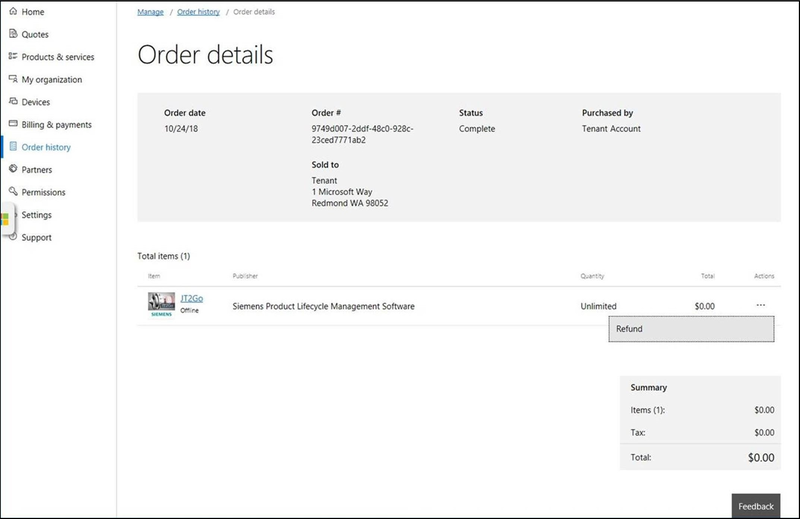 Additionally, related sets and Offline Licensed apps synced from the Microsoft Store for Business will now be consolidated into a single app entry in the UI. Any deployment details from the individual packages will be migrated over to the single entry. To view related sets in the Azure portal, select App licenses from the Client apps blade. Ensure that you sign into the Microsoft Store for Business using the same tenant account you use to sign into Intune. In the Business Store, choose the Manage tab, select Settings, and choose the Distribute tab. If you don't specifically have Microsoft Intune available as a mobile device management tool, choose Add management tool to add Microsoft Intune. If you don't have Microsoft Intune activated as your mobile device management tool, click Activate next to Microsoft Intune. Note that you should activate Microsoft Intune rather than Microsoft Intune Enrollment. You could previously only associate one management tool to assign apps with the Microsoft Store for Business. You can now associate multiple management tools with the store, for example, Intune and Configuration Manager. You can now continue, and set up synchronization in the Intune console. Choose All services > Intune. Intune is located in the Monitoring + Management section. On the Intune pane, choose Client apps. On the Client apps pane, choose Setup > Microsoft Store for Business. If you haven't already done so, click the link to sign up for the Microsoft Store for Business and associate your account as detailed previously. From the Language drop-down list, choose the language in which apps from the Microsoft Store for Business are displayed in the Azure portal. Regardless of the language in which they are displayed, they are installed in the end user's language when available. Click Sync to get the apps you've purchased from the Microsoft Store into Intune. In the Client apps workload, choose Setup > Microsoft Store for Business. You assign apps from the store in the same way you assign any other Intune app. For more information, see How to assign apps to groups with Microsoft Intune. Offline apps can be targeted to user groups, device groups, or groups with users and devices. Offline apps can be installed for a specific user on a device or for all users on a device. Uninstall the app from some devices. Reduce the scope of the current assignment, targeting only the users you have sufficient licenses for. Buy more copies of the app from the Microsoft Store for Business. To remove an app that is synced from the Microsoft Store for Business, you need to log into the Microsoft Store for Business and refund the app. The process is the same whether the app is free or not. For a free app, the store will refund $0. The example below shows a refund for a free app. Removing an app's visibility in the private store won’t keep Intune from syncing the app. You must refund the app to fully remove the app.